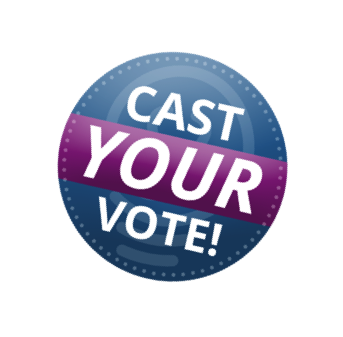 Vote for the 2017 MedTech Innovator at The MedTech Conference! The MedTech Conference and AdvaMed Accel are once again partnering with MedTech Innovator to host the MedTech Innovator Competition Finals, and we need your help to choose the winner! During the Tuesday afternoon plenary session, four finalist companies will present their technologies and compete for $500,000 in prizes and awards, which is where you come in: the competition finals are based on a live audience vote. Abreos Biosciences, based in San Diego, is pioneering laboratory and point-of-care tests for precision dosing of biologic drugs, minimizing unnecessary costs by ensuring that patients are only taking as much of these expensive drugs as they need. Allotrope Medical, located in Houston, is developing a handheld device that uses electrical stimulation for ureter identification during surgery to improve patient outcomes, shorten operating room time, and decrease complications. Day Zero Diagnostics, based in Boston, combines genome sequencing and machine learning to combat antimicrobial resistant infections, enabling physicians to switch from broad-spectrum antibiotic therapy to a targeted antibiotic in hours rather than days. Selio Medical, headquartered in Dublin, Ireland, has a novel technology to eliminate pneumothorax – a common, costly, and dangerous complication of lung biopsy – preventing significant patient morbidity and expensive hospital admissions. Amy Belt Raimundo, Managing Director, Kaiser Permanente Ventures. Following the presentations, you and your fellow conference attendees will vote in real time to select the MedTech Innovator of 2017. The first-place startup will take home a $350,000 non-dilutive cash prize, while the remaining three companies receive smaller cash prizes. Altogether, more than $500,000 in prizes will be awarded to support the companies and their technologies that will help to improve the lives of patients worldwide. Nearly 600 companies applied to MedTech Innovator’s 2017 competition, which opened in January. The Top 100 companies presented at one of 11 pitch events around the United States and in Dublin, Ireland, and 50 companies were chosen to participate in the MedTech Innovator Showcase at The MedTech Conference on Sept. 26 and 27. Finally, 20 companies were selected to participate in the four-month Accelerator – including each of the four Finalist companies and the six companies competing for the Execution Award on Monday, Sept. 25: Arterys, ExplORer Surgical, Nanowear, NovaGray, Osso VR, and VerteCore. Visit this page for more information on the plenary sessions, including the MedTech Innovator Competition Finals, and visit this page for more information on MedTech Innovator and the MedTech Innovator Showcase. Lauren Belisle manages communications for The MedTech Conference.